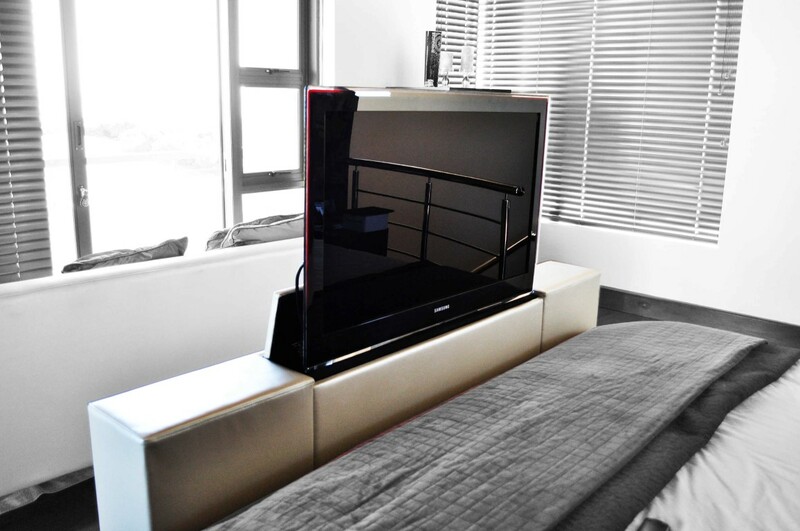 Hiding away a TV with a TV lifter is a practical solution to a potential eyesore, even hiding away a projector and even a projector screen is an excellent solution to uncluttering a room to make it truly multipurpose. There are many devices available that can archive this, but it is not as straight forward as you think, a professional A/V installer will be required for this kind of work as depending on your requirement, the amount of work will vary to install the device required. There will be some situations due to the cavity space that a particular process may not be possible, or a different type of solutions is needed for the same outcome, worse case would be, for example, a flat roof where there is very little to no ceiling space. Other solutions that can overcome this problem may be available, for instance, the TV to come out of the floor, or if it is in the bedroom, to have it come out at the end of the bed. Standard TV lifter designs are lifters that are installed in a cabinet. These types of lifters are common and can be straight forward to install. There types of lifters for TV’s and projectors and installed within the ceiling space. 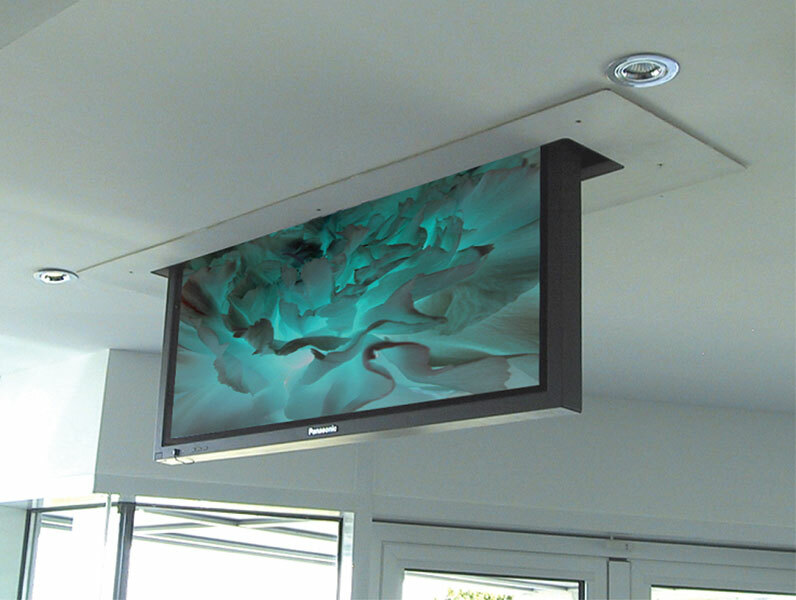 These situations where a television or projector lifter is to be installed in a ceiling space, the timber frame in the ceiling may need to redesign to accommodate the lifter. Other designs available are TV lifters at the end of the bed that can raise out of a large bed frame. Also, that lift out of the floor, and out of a door frame too is possible. Each solution will raise its individual levels complexity to integrate, and they will vary amounting to the work required to complete. 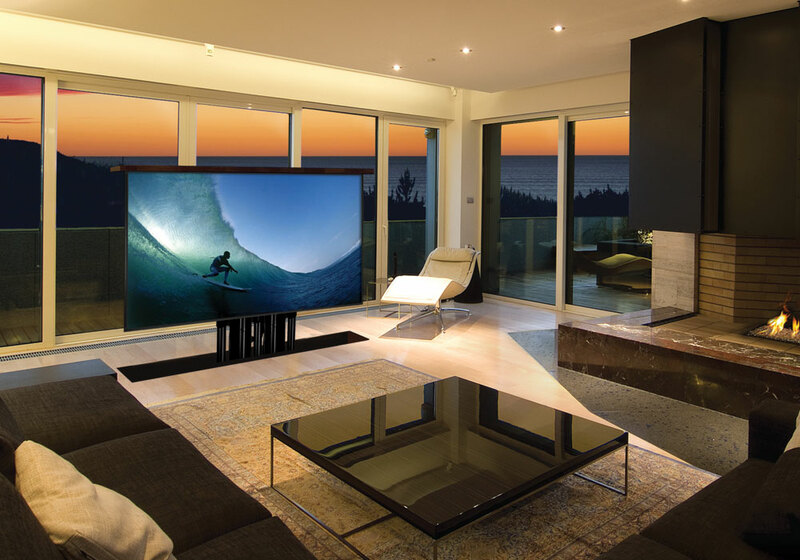 Now we cannot leave out electric projector screens; they too are also possible hide away. There are a few different ways to do this, one being flush mount with the ceiling and the second will be to build a bulkhead around the case to hide away the casing of the screen. We can help you with any TV or projector lifting solution.